If you missed the first Daylite and Direct Mail webinar you’re in luck. After the incredibly successful first webinar Daylite & Direct Mail Webinar Marketcircle Expert Lgo Knowledge is offering two more encore webinars to show you what Daylite and Direct Mail can do to help you attract and nurture more leads for your business. Email is how most small businesses capture and nurture leads but many struggle to leverage this amazing resource. 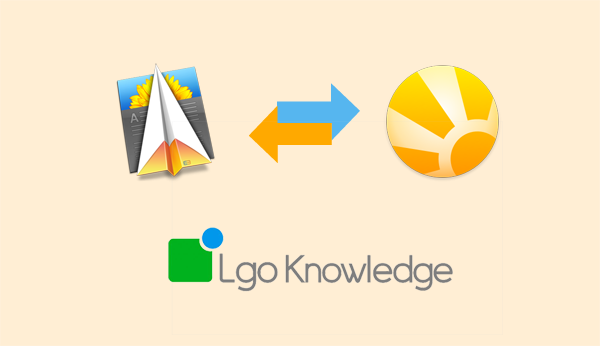 Lgo Knowledge, the Marketcircle Partner for over 10 years and developer popular add-ons like Daylite Timer, and Merlin Projects want to share their expertise with you and show you how you can leverage the Daylite Mail Assistant and Direct Mail to help grow your business without needing to hire a marketing team. At Lgo Knowledge we love Daylite. It’s one of the best business tools for the Mac. We also think you can make it better. We develop cool tools for Daylite and we can help you use it with some of the best apps on the Mac – saving you time, money and effort. This free encore webinar takes place on 3rd of July at 13.00 BST, as well as with a more North American friendly start time on July 10th at 12:00 pm EDT. Anyone can sign up, no matter where you are around the world! This webinar will fill up fast so sign up now but if you can’t make this time, get in touch with Lgo Knowledge, and they can arrange one that suits you!